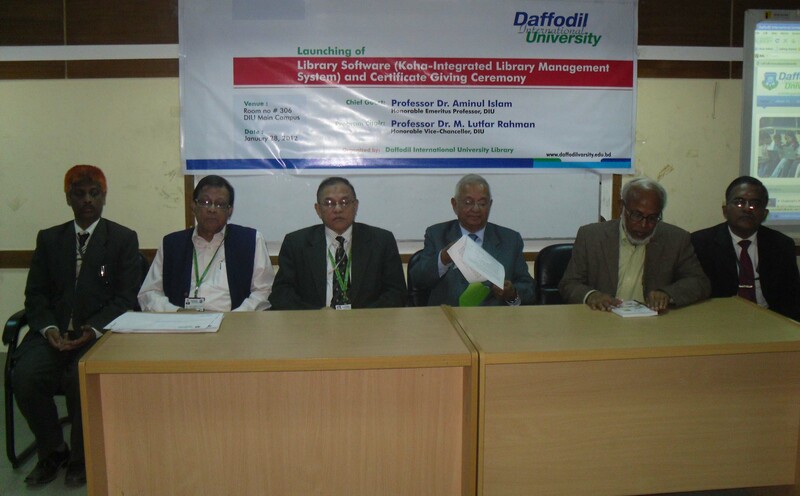 Launching of Library Software ( Koha-Integrated Library Management system) at Daffodil International University Library and Certificate Giving Ceremony was held today at Conference Room of the main Campus organized by DIU Library. Presided over by Prof. Dr. Golam Maowla Chowdhury, Proctor & Head, Department of ETE Prof. Dr. Aminul Islam, Emeritus Professor, DIU graced the occasion as the chief guest while Vice Chancellor Prof. Dr. M. Lutfar Rahman was present on the occasion as the special guest. The function was also addressed among others by Prof. Dr. S. M. Mahabub-Ul- Haque Majumdder, Controller of Examinations and Dean, FSIT, Dr. Md. Fokhray Hossain, Registrar and Mr. Milan Khan, Librarian. 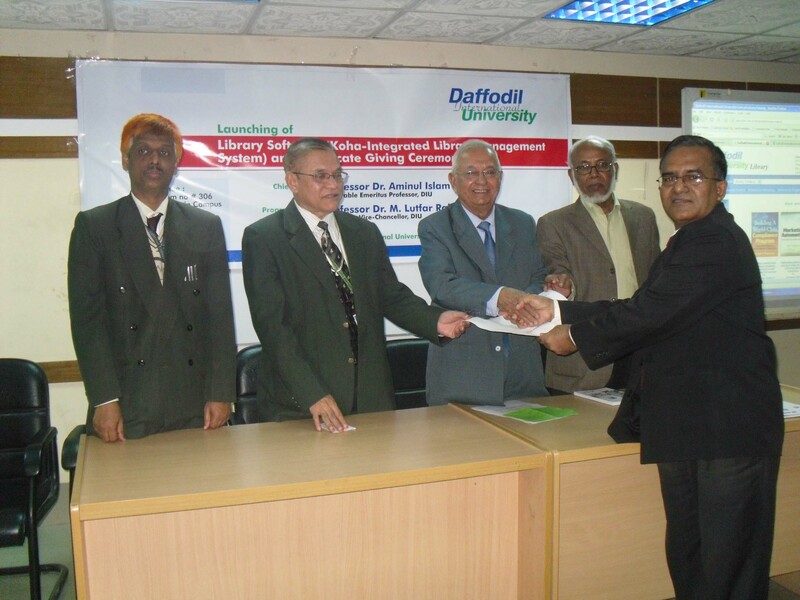 Later chief guest of the program Emeritus Professor Dr. Aminul Islam distributed certificates among the trainee participants of Library Software ( Koha-Integrated Library Management system). Happy that koha is being use by more and more people.